We recently completed a Conceptual Academy Handbook of Class Activities we wrote for college instructors. You can download this entire handbook from ConceptualAcademy.Gallery.Video, which is our official support site for college instructors (Much like LearnScience.Academy is our official support site for homeschools). We created this Handbook of Class Activities as a guide for college instructors looking to make their class time more interactive. Consider it from their point of view. The first question that arises for many instructor is: “If I’m not lecturing for those 75 minutes, then what exactly am I doing during class? ?” Through this handbook we aim to answer that very important “what” question. But first we address the even more important question of “why”. OK, so what does this have to do with your homeschooling efforts? We imagine what we say in this handbook is already deeply ingrained within you, especially the bit on a “culture of learning”, which is likely one of your top reasons for homeschooling. But just as you found deficiencies in traditional high school approaches, sadly, you will likely find those same deficiencies within traditional college approaches. Ouch! What we’re wanting to underscore here is that not all colleges are equal. Selective colleges will more likely have that all-important “culture of learning” simply because that’s were the more motivated students are enrolling. Yet, these colleges are also $$$$. Double ouch!! The good news is that more affordable colleges are now catching on. And this is what you need to be looking for in your campus visits. You’ll feel it in your bones. . .the extent to which a particular college is able to nurture a culture of leaning with the students who attend. So put on your short list any college that recognizes these following six points to optimizing the precious time students and instructors spend together. An effective athletic coach provides instruction on how to work the game or how to execute a particular play. But this coach also nurtures a team spirit—a sense of community through which the athletes respond by willingly exerting themselves to the best of their abilities. In nurturing this community, the coach understands our social nature. We love being involved, playing a role, contributing to the team, and celebrating victory together in a shared meaningful experience. If this is possible within athletics, it should also be possible within aca demics where the parameters are much the same: a body of students gathering regularly under the expert guidance of an experienced adult. A main difference is that the challenges faced within academics are more mental than physical. Yet another difference is expectations. While an athlete arrives to each session expecting both instruction and practice, the typical student arrives to each class expecting only instruction. An athletic coach who followed a formula of “instruction together and practice on your own” would be held liable for a losing season. There is much to learn from the sports model. Within a culture of learning, students work as a community supporting each other in their learning tasks. They do so under the expert guidance of the course instructor, who provides not only the structure for each meeting but also an atmosphere where students feel safe and relaxed. The instructor pushes the envelope academically. Mistakes are encouraged as are common courtesy and team work. Students arrive to class having already studied the material. During class students then have the opportunity to articulate what they think they understand. Corrections are provided by peers as well as the instructor. A culture of learning is as enjoyable as it is rewarding. In a culture of learning, everyone benefits. A culture of learning supports our deepest wishes for our students. On the academic side, we wish for our students to gain a deeper understanding of how the world works and what difference this makes to our everyday lives. Through this, students strengthen their analytical and critical thinking skills. On the social side, we want our stu dents to grow into knowledgeable, articulate, well-adjusted, and happy individuals who are able to support themselves and a family while also contributing to society at large. A culture of learning can be developed regardless of student abilities and also regardless of class size. How long it takes for that culture to develop for a particular class depends upon many variables. In all cases, the development must begin on day one with clear explanations for why a culture of learning is being created and explicit guidelines for how it will be implemented. Students who are unfamiliar with this approach may resist, especially millennials who prefer texting over face-to-face interactions. However, mid-way through the semester these students will begin to realize the benefits, which include improved social skills, more enthusiasm, as well as better exam scores. 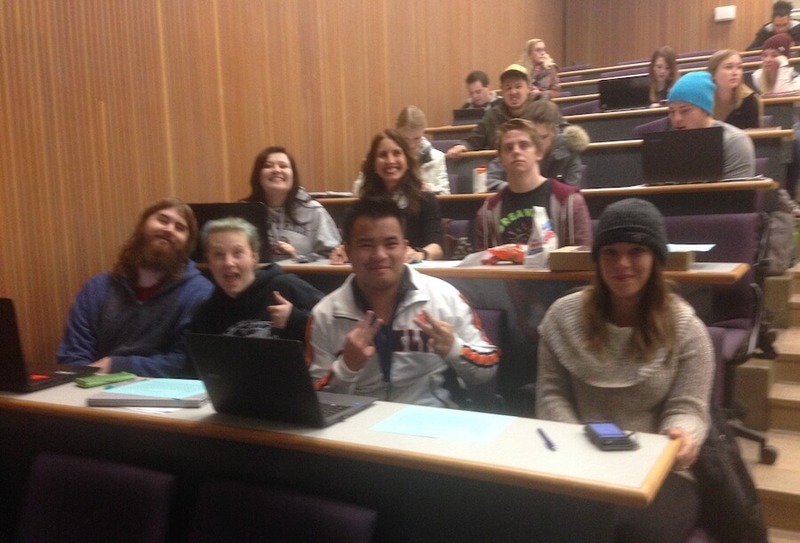 By the end of the semester, the students are embracing the format, as is evidenced by course evaluations. Students work on their reading, video, and homework assignments before coming to class. Ideally, there is a point system that provides students credit for doing so. These may be points students earn before coming to class, such as through Conceptual Academy. 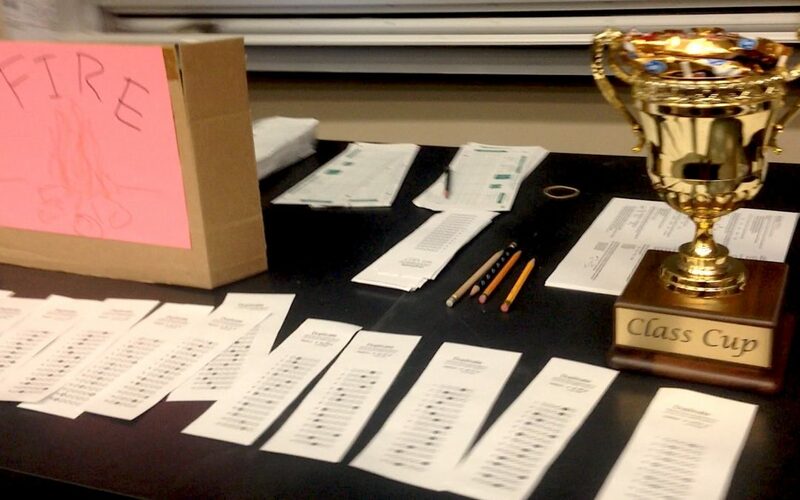 They may also be points that students collect from a quiz at the start of class. To be on target, about 70% of students should be showing up to class having already studied the material. This is quite possible to achieve, but it requires constant pressure, especially within the beginning weeks. The pressure comes in the form of points, but also in the form implementing class activities that truly take advantage of their having come to class prepared. A schedule such as this should be published within the course syllabus so that students know what to expect. They should also understand that the schedule may vary from class to class depending upon the instructor’s judgment of what will be the best use of class time for any particular subject. Students will show up to class having already studied the material. But by no means have they yet to master that material. Further, what they studied the previous evening is hardly on the tip of their tongues. This is where a review of the content given by the instructor is greatly appreciated and valued. This review can take many forms, including a traditional lecture. It must be emphasized to students that the presentation is only a review of what the students have already studied. Nuances and details may be left out and the focus is primarily on the more challenging concepts. For the instructor, there can remain an urge to present all the material in lecture format. Repeating what has already been presented to the students through the textbook and online videos has benefits. A live presentation is always better than what can be provided through a textbook or video. Students will thus want the review to extend for as long as possible. The instructor may want this too and should proceed as deemed appropriate. However, this should be weighed against an understanding that the longer the lecture reviews, the less inclined students will be to come to class having already studied. Further, there is less time available for the equally and sometimes more valuable class activities. Just because we describe some new concept to our students does not mean the students now understand that new concept. At best, any description we provide is but an introduction. However, when that introduction is given before class, we are then free to take that introduction to a deeper level of understanding. This is realized when students are provided the opportunity to articulate the new concept themselves through their own words, written or aloud, or through solving problems. Providing that opportunity within an encouraging community setting is the underlying goal of any class activity. Class activities come in many forms. Some are quick and easy to implement. Others are more complicated. Some are more appropriate for a small class. Others work well regardless of the class size, and some are specific to an online format. In general, the most effective activities are those that rely on students working together in teams. For all activities, there needs to be sufficient time allotted for a follow-up presentation of correct answers or explanations to questions given within that activity. This is key for addressing student misconceptions. The development of a culture of learning occurs primarily during the “class activity” segment of each class period. Within this, time for practice is provided as a complement to instruction. Instruction also occurs during this time as needed, but the focus remains on practice. Over the full class period, key is finding an optimal balance between the two. 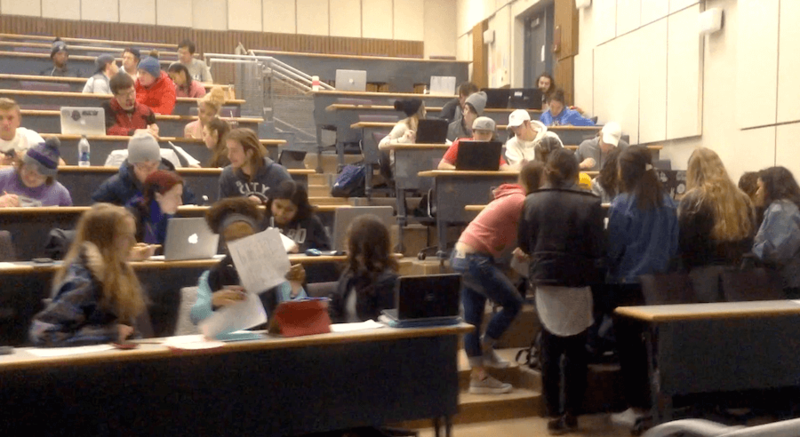 Just as there is missed opportunity in a classroom focused 100% on lecture, there is also missed opportunity in a classroom focused 100% on activities. How much is done on one or the other will vary significantly based upon the content as well as the instructor’s available time and energy for planning such activities. If within course eval uations, students rate class time as anywhere from 30% to 70% lecture, then they will likely also be rating the course as a valuable experience. Let’s be clear: athletes as well as students require both instruction and practice. Further, instruction and practice are best accomplished under the expert guidance of the course instructor within an empowering culture of learning. There is a wealth of class activities that can be implemented for any particular subject. You may already have your own favorite activities, but are looking for some new ideas to adapt for your particular situation. This handbook is a compendium of ideas we conceptual authors have found work well. Of course, you’ll find even more ideas through regional and national conferences. We also provide some references for print and online resources. You’ll also want to tap your colleagues at your campus. A culture of learning among students is greatly supported when there is also a culture of teaching among instructors. Again for emphasis: A culture of learning supports our deepest wishes for our students. On the academic side, we wish for our students to gain a deeper understanding of how the world works and what difference this makes to our everyday lives. Through this, students strengthen their analytical and critical thinking skills. On the social side, we want our students to grow into knowledgeable, articulate, well-adjusted, and happy individuals who are able to support themselves and a family while also contributing to society at large. We are hopeful you will find the resources within this handbook to be of great benefit to your teaching efforts. Please let us know how we might be of any further assistance.